These pages contain the results of my efforts to identify and summarize widely-used [hyper]media-types. If you know of a hypermedia type that is not listed here, please send the details to me via twitter or email. I keep a running list of scraps to track my random observations, assumptions, and judgements. They might someday be incorporated into the primary content here. Identify media-types of interest (via IANA Registered MIME Media Types). For each identified link element, note any arguments, attributes, etc. and their use. 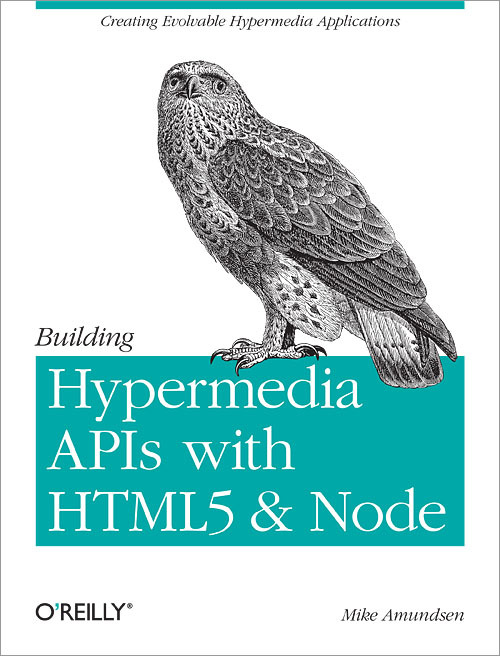 Summarize, categorize, and rank the 'H Factor' of each hypermedia type. Does the media-type work for more than one application protocol (HTTP, FTP, etc.)? Are there internal or externally registered link relation values of interest for the media-type? To what degree does the media-type support machine-to-machine interactions? How does a hypermedia type's H Factor affect client/server implementation? Elements of the media type that allow user-agents (or their human operators) to affect the state of the application, usually by navigating from one state to the next. For example, the A and FORM elements of X/HTML exhibit link semantics. By comparison, the IMG and OBJECT elements do not. [MCA: this needs to be refined and clarified.]. So What Is It About Linked Data that Makes it Linked Data? Added reference to "The Hypermedia Scale"
Added CSS to the list of media-types and added the Scraps section.